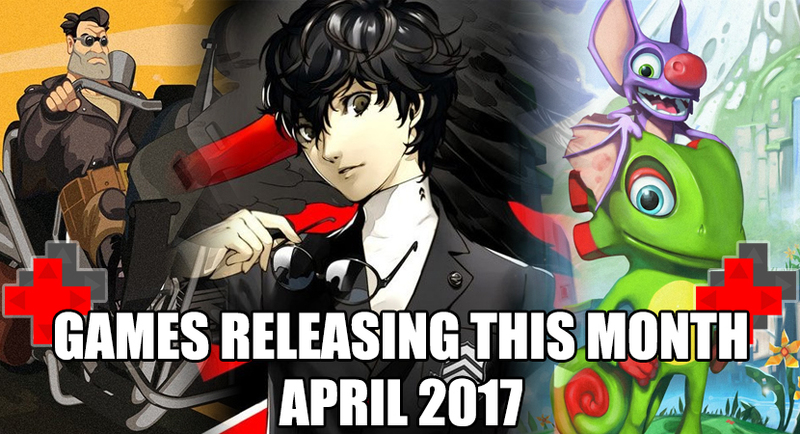 April is yet another month of potentially great games, starting the month off strong with the release of Persona 5. If you're a fan of classic LucasArts graphic adventure games, you may be familiar with Full Throttle which is also releasing this month in a remastered package similar to Day of the Tentacle's remaster. We also have the anticipated Yooka-Laylee from the original Rare guys. Persona 5 is a game about the internal and external conflicts of a group of troubled high school students - the protagonist and a collection of compatriots he meets in the game's story - who live dual lives as Phantom Thieves. They have the typically ordinary day-to-day of a Tokyo high schooler - attending class, after school activities and part-time jobs. But they also undertake fantastical adventures by using otherworldly powers to enter the hearts of people. Their power comes from the Persona, the Jungian concept of the “self”. The game's heroes realize that society forces people to wear masks to protect their inner vulnerabilities, and by literally ripping off their protective masks and confronting their inner selves do the heroes awaken their inner power, and use it to strive to help those in need. Ultimately, the group of Phantom Thieves seeks to change their day-to-day world to match their perception and see through the masks modern-day society wears. Acclaimed video game developer David Jaffe, director of multiple franchises including God of War and Twisted Metal, is back with the PlayStation®4 system exclusive—Drawn to Death—a chaotic, third-person death match shooter played out on the lined pages of a teenager’s notebook. Drawn to Death challenges the shooter genre with unconventional gameplay mechanics and unique character perks that were introduced in Twisted Metal and fine-tuned with the help of San Diego Studio and The Bartlet Jones Supernatural Detective Agency. In LEGO CITY Undercover, play as Chase McCain, a police officer who's been tasked with going undercover to hunt down the notorious - and recently escaped - criminal Rex Fury and putting an end to his city-wide crime wave. With two player co-op, friends can explore the sprawling open-world metropolis that is LEGO City, with more than 20 unique districts to investigate, car thieves to bust, hilarious movie references to discover, vehicles to drive, and hundreds of collectibles. LEGO CITY Undercover brings together witty, original storytelling with signature LEGO humor to create a fun-filled experience for players of all ages to enjoy. Bulletstorm: Full Clip Edition brings the critically-acclaimed cult-classic shooter to PlayStation 4, Xbox One system, and PC in stunning ultra-high resolutions. Updated with hi-res textures, increased polygon counts, sterling audio, and smoother frame rates-all running in up to 4K resolution on PC and PS4 Pro-this new version of Bulletstorm comes with all of the previously-released add-ons along with all-new content. Step into the boots of Grayson Hunt after a crash landing on an abandoned resort planet forces him to make a hard choice: survival or revenge. An exiled member of the elite assassin group Dead Echo, Grayson's blind desire for vengeance finds his crew stranded on Stygia where he can finally confront the commander behind his betrayal-or get his team off the planet alive. Battle your way through throngs of Stygia' s mutated inhabitants, performing masterful kills throughout the single-player campaign-or one of 30 competitive score-challenge or 12 co-operative multiplayer maps-using Bulletstorm: Full Clip Edition's unique “Skill shot” system that rewards you for executing the most creative and deadly kills imaginable. Yooka-Laylee is a new open-world platformer from genre veterans Playtonic! Explore huge, beautiful worlds, meet (and beat) an unforgettable cast of characters and horde a vault-load of shiny collectibles as buddy-duo Yooka (the green one) and Laylee (the bat with the big nose) embark on an epic adventure to thwart corporate creep Capital B! Test your mettle in furious arena combat as you move, evade, and attack in any direction against pilots from every corner of the galaxy. Fight for glory, credits, and your life as the StarBlood Network broadcasts every lawless match for the universe to see. Whether it's single player Carnage death matches, Team Carnage death matches, or Invaders co-op, you'll be constantly challenged to step up your game and prove that you've got the skills to emerge victorious. The StarBlood Network cameras are on, everyone is watching, and there's no safe space in the Arena. Ready? You better be. Welcome to StarBlood Arena. Marvel's Guardians of the Galaxy: The Telltale Series delivers a brand new story of the universe's unlikeliest heroes, the rag-tag band of outlaws who go by the names Star-Lord, Gamora, Drax, Rocket, and Groot. In the wake of an epic battle, the Guardians discover an artifact of unspeakable power. Each of the Guardians has a reason to desire this relic, as does a ruthless enemy who is the last of her kind, and who will stop at nothing to tear it from their hands. From Earth to the Milano to Knowhere and beyond, and set to the beat of awesome music, this five-part episodic series puts you in the rocket-powered boots of Star-Lord in an original Guardians adventure, told in the unique and award-winning Telltale style, where your decisions and actions will drive the path of the story you experience. 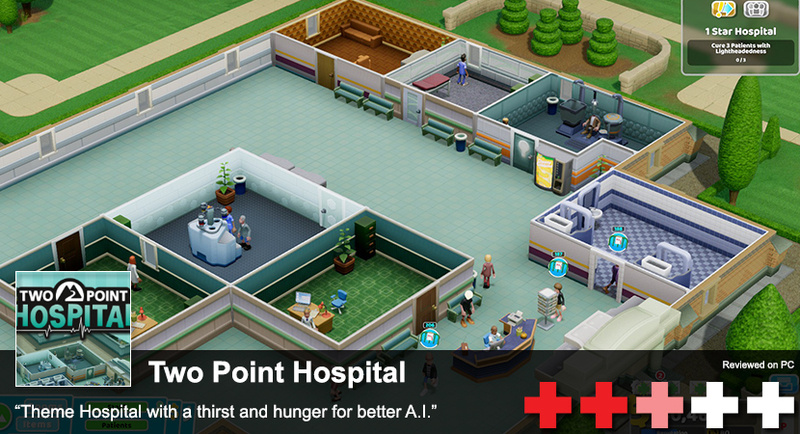 The Season Pass Disc includes episode one of the series, and grants access to download the remaining four episodes as they become available. DRAGON QUEST HEROES II is a hack-and-slash, field-roaming Action RPG that sends players on a new adventure to restore order in a once peaceful world filled with hordes of monsters and battles of epic proportions. Up to 4 players can band together in cooperative multiplayer to conquer swarms of enemies and defeat challenging boss monsters. There is also a cast of many playable characters each with unique moves and abilities – including a host of familiar faces from the DRAGON QUEST series and four brand new heroes that must team up to defeat an unknown threat looming over the Seven Realms! Pre-Order the Dragon Quest Heroes II Explorer's Edition now to receive 15 downloadable bonus weapons! Outlast Trinity: The Ultimate Horror Bundle. Outlast is a first-person survival horror series developed by Red Barrels. The critically acclaimed franchise is now available for the first time on disc as a complete package. The bundle features over 20 hours of terrifying gameplay across Outlast 1, Outlast Whistleblower and the all new Outlast 2. The protagonists of Outlast have no fighting abilities. They must run, hide or die. Their only weapon is a camcorder they must use to capture the horrible events unfolding as they progress through the game. The camcorder also has a night vision mode to navigate through dark environments. In Outlast 2 you are Blake Langermann, a cameraman working with your wife, Lynn. The two of you are investigative journalists willing to take risks and dig deep to uncover the stories no one else will dare touch. You're following a trail of clues that started with the seemingly impossible murder of a pregnant woman known only as Jane Doe. The investigation has led you miles into the Arizona desert, to a darkness so deep that no one could shed light upon it, and a corruption so profound that going mad may be the only sane thing to do. After abandoning the Island of Syberia, Kate Walker is dying at the edge of an unknown river. Fortunately, she is rescued by the Youkole Tribe. Stranded in their village, she must find a way out by unraveling mysteries while evading enemies from her past. Syberia 3 is the next generation in adventure games. Developed in 3D, it takes you inside an enchanting, mysterious, and sometimes dark universe. Dive into a world inhabited by fascinating characters and discover an incredible tale imagined by Benoit Sokal. It's Mario Kart. You should know what this is.